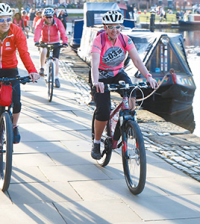 Based on the training techniques adopted by Victoria Pendleton, her new ‘Pro Cycling’ campaign is a group cycling spin class set to get you pedaling like you’ve never pedaled before! 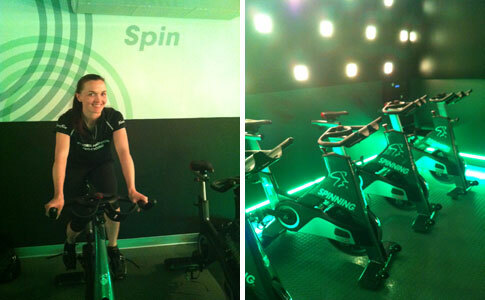 30 minutes of high intensity interval cycling, set to some of Victoria’s favourite tunes, these classes, as Sportsister’s Lizzie found out, are guaranteed to make you sweat! The Individual Sprint class focuses around speed interval training. It ends with a cat and mouse race where one of the riders will lead the sprint to the finish. Definitely a class that will get the blood pumping! The Team Sprint is a fast paced group cycling class that focuses around power. With short 15 second sprints set at a high resistance, followed by a race element where riders work in teams. And finally the Keirin class focuses around slightly longer intervals of training followed by short recovery periods. The race ends with a four lap Keirin high intense race which will leave riders hanging on until the end! So how are the classes different from a regular spinning class? First of all there are three classes to choose from, so you are immediately able to add variety to your work out regime. 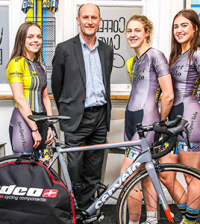 Not only this, but as they have individually been constructed to be in line with Victoria’s three track cycling events, they have very specific training objectives, rather than a bunch of various different elements just put together. I participated in the Team Sprint class and it was very much about power and strength, as it’s focus was working the legs. The Sprint class is more about speed and the Individual has more of a cardio element to it. So how long are they? The classes are very short, but extremely intense. 30 minutes is their length so we would encourage you to take the class only if you are confident in cranking the dial up on the bike when told to, and really giving it your all. Victoria says, “If you want to get the training load out of the lesson then you really need to commit to it. The actual length of time and intensity of efforts is maximal for these classes, go give it 100% and worry about the consequences later! 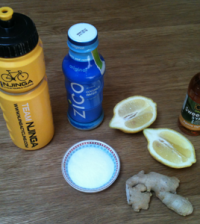 The work out is fantastic, not only for cyclists looking to improve their ride, but for any sporting individual. The intervals of track training do make you very aerobically fit whilst trying to improve your ability on the bike. How did I find it? I am reasonably fit and found that the Team Sprint class was very tough. But training at high intensity and with limited recovery increases your aerobic adaptation much quicker than spending hours doing something at a steady state – which is brilliant motivation to work hard and keep going back. Plus, if that’s how a world class athlete like Victoria Pendleton trains, then its good enough for me! 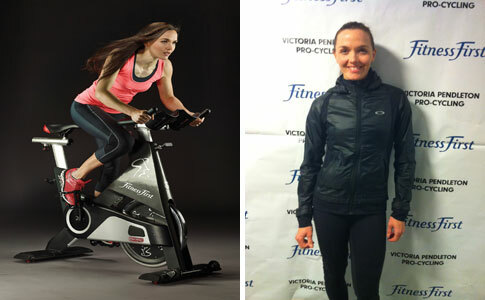 The ‘Victoria Pendleton Pro Cycling Class’ is available now in selected Fitness First clubs.